After "making baby steps" towards it, Gotham will see a full-on supervillain in the second half of season two with the debut of Mr. Freeze. That's how executive producer John Stephens described the character's introduction in an interview with ComicBook.com. "I think Firefly was someone who, while she can't fly like the one from the comics, she isn't wielding guns and knives," describing another villain who took a step towards "super" status this year. "She has a Gotham-ized armature. I think Theo Galavan was another baby step toward that world; he had the connection to the Order of St. Dumas, and was a villain that we might not have seen at the beginning of season one. The Maniax were another baby step toward that kind of anarchtic pre-Joker type of villain that paves the way." Stephens said that makes a villain like Mr. Freeze "the next logical step," and that they've always "wanted to get there, to do these kinds of villains set in our world." So as the move toward a Gotham City that the comic books have portrayed, full of colorful villains with outrageous powers, why was Mr. Freeze first? "A variety of reasons," Stephens said, starting with the fact that he's a major name they simply hadn't gotten to yet. "He's also a science villain - he's not like some of the others from Batman's rogues' gallery like Solomon Grundy who has more of a mystical or magical nature. He's still someone who, in theory, could exist in a world where science progresses to that point," Stephens explained. "His feet are not firmly rooted in reality, but there are some roots there." Mr. Freeze could be a step toward the more over-the-top villains like Solomon Grundy or Killer Croc, though, as long as the writers can figure out how to make them true to the show. "I feel like those characters are out there, and if we can figure out a way to do them where the reality of our world can stay intact, approach them in a way where people say 'I can imagine them existing in our world,' then yes, I'd keep us open to all of those characters. We're hesitant to go down any mystical routes. If we can solve those riddles ourselves, it'll be exciting to have those people in our world," he said. They also chose Mr. Freeze because his "emotional story is so compelling," referring to the origin they're going with, based on that from Batman: The Animated Series, which introduced Nora, his wife, and the source of his inspiration for research into cryogenics. "We really want our villains to be as human and relatable as possible. We wanted to give Freeze a compressed version of what we gave to someone like Nygma, who we gave an emotional reason to why he became the person he became," Stephens said of choosing the Nora-inclusive origin. "We also wanted him to serve as a mirror to what's going on in Jim and Lee's life, at the same time. Those coincide together, so that the path Freeze goes down mirrors the path that Jim's going down, and they sort of go down that together." In the end, Mr. 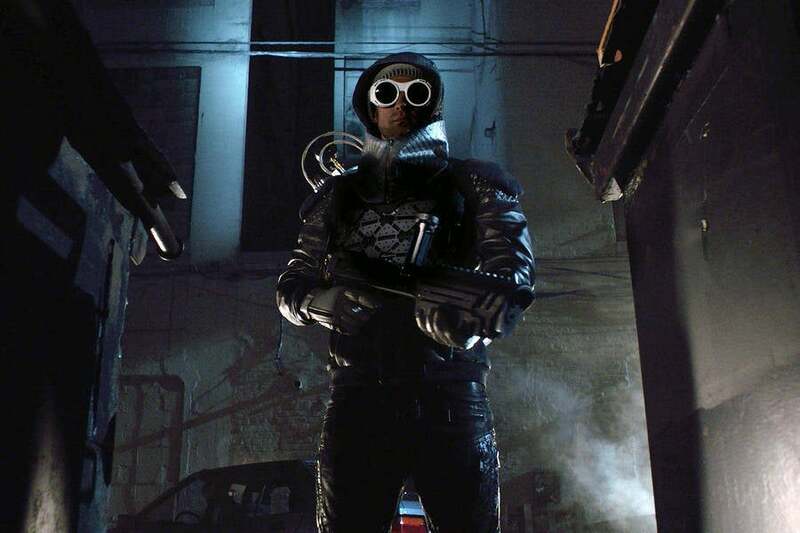 Freeze is definitely opening the door to the future, and will keep Gotham moving forward. "We want to feel like our show is progressing to that world that we all know about, that's ten years down the road. We're not trying to hold it steady in the back to keep off from that world," Stephens said. "We're on a journey that one day - whether we see it on our show or not - goes toward that world of Gotham [from DC Comics]. Mr. Freeze is the biggest signifier of that yet."